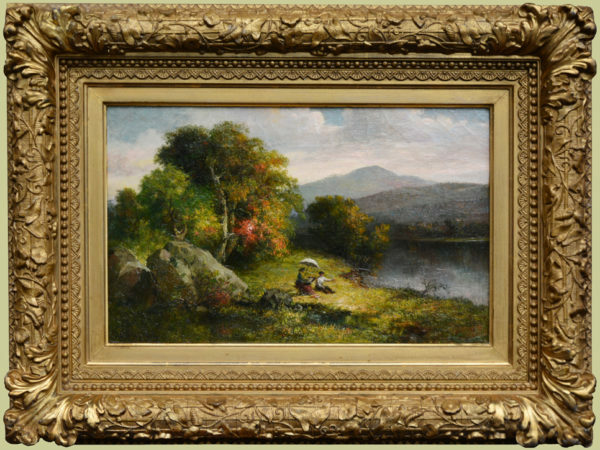 Robert Spear Dunning was born in Brunswick, ME and moved to Fall River, MA, a wealthy mill town, when he was 5. He studied under James Roberts and later attended the National Academy of Design in New York City where he studied under Daniel Huntington, painting figures and portraits. In 1865, his interest turned to still-life painting. He founded the Fall River School and with friend John E. Grouard and founded The Fall River Evening Drawing School, both of which emphasized still life paintings. His works were exhibited at the National Academy of Design from 1850-1880, the American Art Union in 1850 and the Boston Art Club.